Follow the instructions and have the patient rinse first – it makes it easier to remove the impression. Use very cold water and spatulate well. Make sure the amount of water matches the measure to ensure the correct consistency. Apply air lightly around the teeth- leave slightly moist to help prevent bubbles at the margin. The stiffness of the material helps with impressions for dentures. 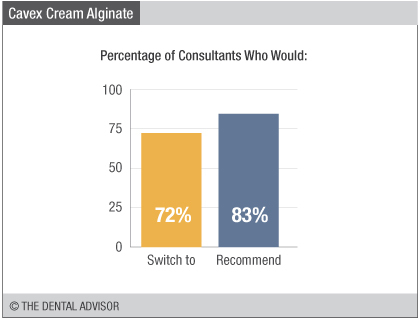 Cavex Cream Alginate (fast-setting) was evaluated by 29 consultants for a total of 432 times. Accurate detail to 5 microns. 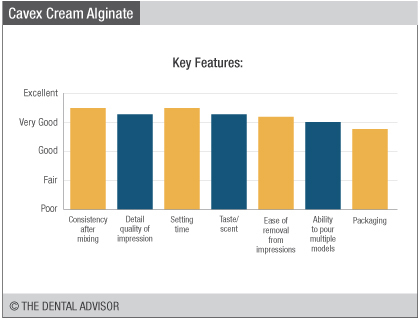 All procedures where an alginate impression is required. 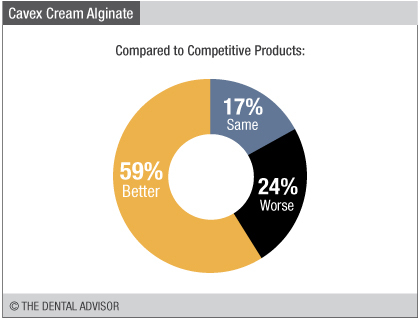 Cavex Cream Alginate is a dust-free, alginate impression material designed to be easily mixed to a smooth, creamy consistency. It offers a high tear strength, elasticity, snap set, and detail accuracy to 5 microns. In addition, this impression material has a pleasant odor and color. 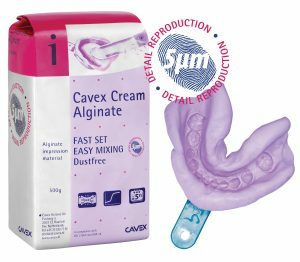 Cavex Cream Alginate is available as normal and fast setting options. 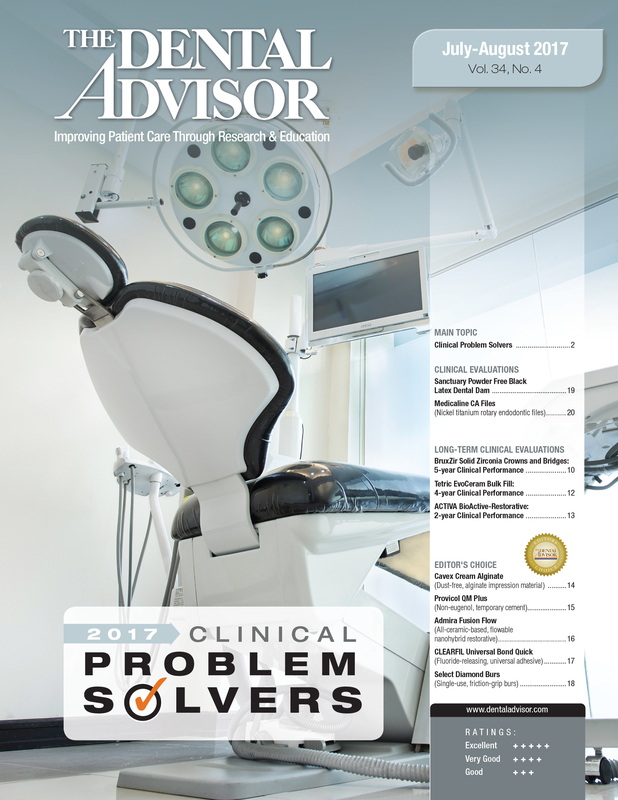 The fast-setting version has a 20-second mixing time, and a total working time of 2 minutes 20 seconds, which includes a 1-minute intraoral setting time. 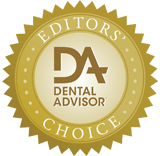 The normal-setting version has a 30-second mixing time, and a total working time of 3.5 minutes, which includes 1.5 minutes for intraoral setting. The impression can be scanned for digitizing. Cavex Cream Alginate is packaged in 500 g bags. Powder scoop and water measure are available.